Pannekoek studied mathematics and physics in Leiden from 1891. Even before he went to college he was interested in astronomy and studied the variability of Polaris. He published his first article, On the Necessity of Further Researches on the Milky Way, as a student. Some years after he had finished his study he started work at the Leiden Observatory (Leidse Sterrewacht), where he wrote his thesis. 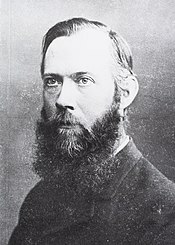 After reading Edward Bellamy's Equality, Pannekoek became a convinced socialist and started studying Karl Marx's theories. Soon Pannekoek became a well-known Marxist writer, writing for both Dutch and German magazines. Threatened with dismissal from his job at the observatory for leading a strike support committee and dissatisfied with their outdated methodologies,[clarification needed] he decided to move to Berlin, where he became a lecturer at the school funded by the Social Democratic Party of Germany. His radical opinions soon got him in trouble with both the German government and the labor unions. He was on holiday in the Netherlands when the First World War broke out. Prevented from returning to Germany, he started work as a chemistry and science teacher. Though the Leidse Sterrewacht wanted him back, government opposition because of his Marxist sympathies made this fall through. Instead, the Amsterdam city council got him an appointment at the University of Amsterdam in 1925, first as a part-time professor, and in 1932 as a full professor. In his scientific work, Pannekoek started studying the distribution of stars through the Milky Way, as well as the structure of our galaxy. Later he became interested in the nature and evolution of stars. Because of these studies, he is considered to be the founder of astrophysics as a separate discipline in the Netherlands. He became member of the Royal Netherlands Academy of Arts and Sciences in 1925. Apart from his theoretical work, he also went on several foreign expeditions to observe solar eclipses and take spectra of stars. In 1926 he undertook an expedition to Java in order to delineate the southern Milky Way. He was also interested in the history of astronomy and his book, A History of Astronomy, is considered a standard reference on the subject. The Anton Pannekoek Astronomical Institute at the University of Amsterdam, of which he had been a director, still carries his name. A recognized Marxist theorist, Pannekoek was one of the founders of council communism and a main figure in the radical left in the Netherlands and Germany. He was active in the Communist Party of the Netherlands, the Communist Workers' Party of the Netherlands and the Communist Workers' Party of Germany. Pannekoek was best known for his writing on workers' councils. He regarded these as a new form of organisation capable of overcoming the limitations of the old institutions of the labour movement, the trade unions and social democratic parties. Basing his theory on what he regarded as the practical lessons of the 1917 Russian Revolution, Pannekoek argued that the workers' revolution and the transition from capitalism to communism had to be achieved by the workers themselves, democratically organised in workers' councils. He was a sharp critic of anarchism, social democracy and Vladimir Lenin and Leninism. During the early years of the Russian revolution, Pannekoek gave critical support to the Bolsheviks, a position shared by fellow council communist Herman Gorter and Rosa Luxemburg. He expressed misgivings about the authoritarian tendencies of Leninism, fearing for the socialist character of the Russian Revolution unless it should find a rectifying support in a proletarian revolution in the West. His later analysis of the failure of the Russian revolution was that after Lenin and the Bolsheviks came to power, they crippled the soviets. Instead of workers' councils, the Bolsheviks had instituted the rule of their party, which in Pannekoek's view is what led to the institution of the Bolsheviks as a new ruling class. He put his views forward in his 1938 book Lenin als filosoof : een kritische beschouwing over de filosofische grondslagen van het Leninisme, originally published under the pseudonym J. Harper, translated in English as Lenin as philosopher - a critical examination of the philosophical basis of Leninism (1948). ^ "Anton Pannekoek (1873 - 1960)". Royal Netherlands Academy of Arts and Sciences. Retrieved 17 July 2015.